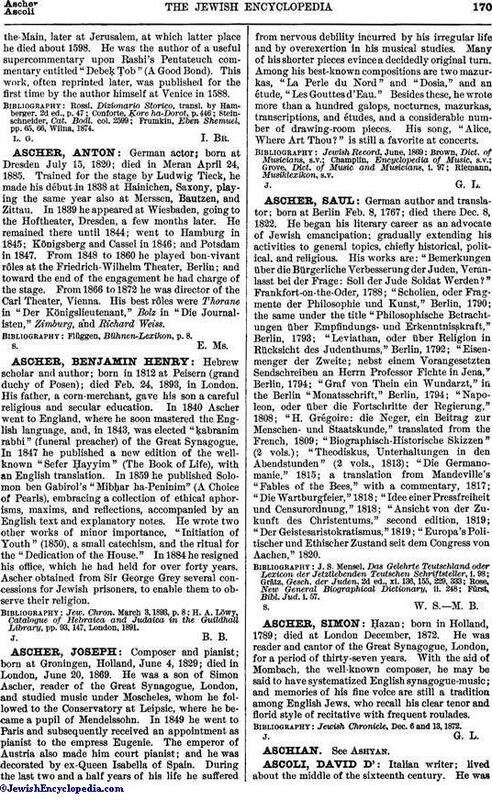 Ḥazan; born in Holland, 1789; died at London December, 1872. He was reader and cantor of the Great Synagogue, London, for a period of thirty-seven years. With the aid of Mombach, the well-known composer, he may be said to have systematized English synagogue-music; and memories of his fine voice are still a tradition among English Jews, who recall his clear tenor and florid style of recitative with frequent roulades. Jewish Chronicle, Dec. 6 and 13, 1872.